ETİ Benim'O! 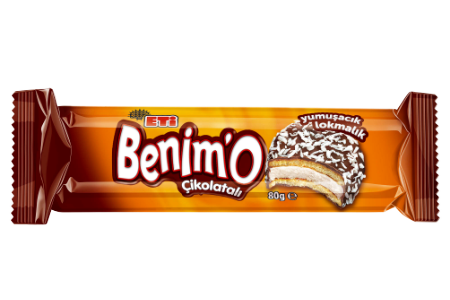 will be indispensable taste for the ones who say “How much taste can be fit into a bite” with its soft marshmallow and delicious biscuit coated with chocolate and coconut. Do not be surprized if you finish the whole package bite after bite!